According to legends, teak wood is no different from men, there are good and bad. The beliefs are such that the quality of Teak will affect both the fortune, the luck and the security of the owner and his house. Uger-uger: Selection of teak wood from trees whose branches are old. Said to bring peace and tranquility to people living in its interior walls. 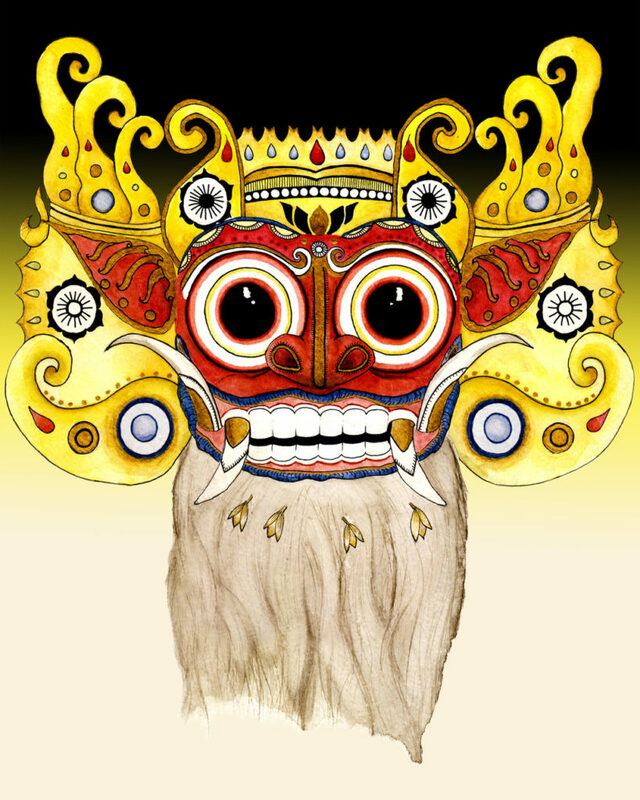 This type will be used for house doors and walls or high fences (cepuri) or called Regol. Trajumas: Selection of teak wood, which comes from a tree with three branches. It is said to flood the owner with the provisions (mbanyu mill). This selection of wood would be appropriate for the large building frame, located on the top of the roof. Pandawa: Selection of a teak tree with five ramifications. As his Indonesian name suggests: strong and brave. Used for the main pillars he acts as a guardian guardians also as a teacher. Mulo: Selection of teak wood from trees surrounded by moisture or water. it will give a feeling of freshness for the owners This wood will be the one used for the main mast (saka). Note that the quality of “Mulo” remains below the “Pandawa” mentioned above. Tunjung: Selection of teak wood from trees that are as big as a large eagle’s nest. Supposed to bring higher social status, attract friendship and love of the people and good dispositions and stability. Munggang: Selection of teak wood from a teak tree that grows above ground level (gumuk puntuk). It is used to build the “Regol” or portal. The beliefs and qualities of this type of particular selection do not vary with the “Tunjung” mentioned above. Pickaback: Selection of teak wood from a teak tree that grows like a shoot. Considered providing the wealth of the owner. This selection was used for the construction of the frame. Gedeg: Selection of teak wood from a teak tree with a projection or “gembolo”. The beliefs and qualities of this type of particular selection does not vary with “pickaback” mentioned above. Gadu: Selection of teak wood from a teak tree called millstone (gandik or pipisan). Considered to provide a lot of livestock and a safe and prosperous life for the owner. This type is suitable for pen construction.